In THE BIBLE AND FLYING SAUCERS, Rev. Barry Downing states that: "When Jesus was baptized, he saw the 'Spirit of God descending like a dove, and alighting on him.' 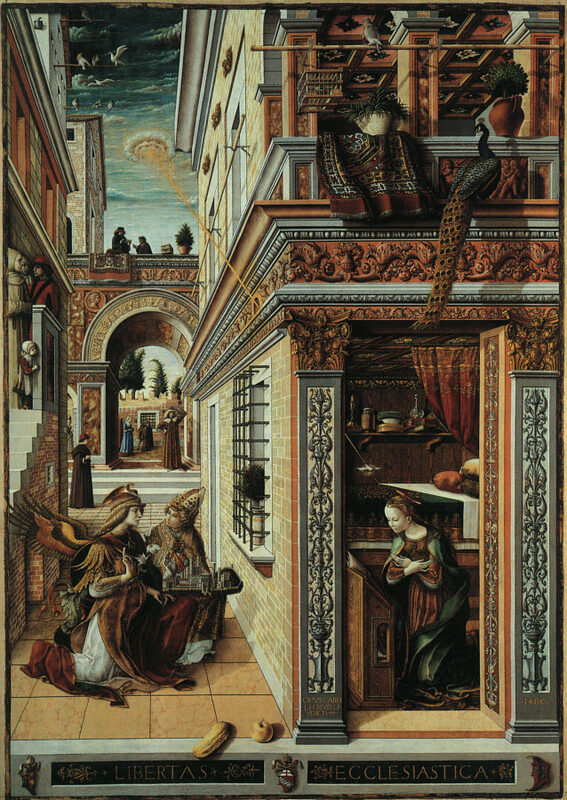 (Matt 3:16)" As you can see by the painting above, all of those elements have been incorporated into this work by Crivelli. Reference #2: THE BIBLE AND FLYING SAUCERS; 1978 Barry H. Downing, Avon Books, NY NY. All Biblical quotes are from Thompson's Chain Reference Bible (NAS).